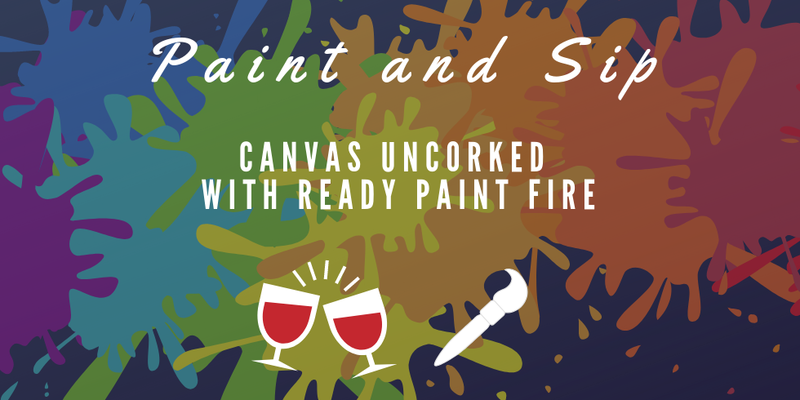 Home » Events » Canvas Uncorked with Ready, Paint, Fire! Ready, Paint, Fire hosts “Canvas Uncorked” in Warren Station at Keystone! Come and learn the basics of acrylic painting and enjoy a glass of wine in this upbeat and casual painting party. Not artistic? No worries. You don’t have to be a “Van Gogh” to make a fabulous masterpiece for your wall. The instructors are an inspirational blast and will lead you step by step as you make a creation that is uniquely yours. And, there are plenty of cocktails to stir up your imagination. With a few guided strokes and some liquid encouragement, you will be amazed at the artwork that YOU made. One, complimentary house wine or beer, canvas, paint and supplies included in the entry. No experience necessary. Bottled wine and cocktail specials are also in the mix. Adult Ticket: $40.00 in advance, $45.00 at the door. All tickets include one glass of house wine or beer. Children’s Ticket: $30.00 in advance, $35.00 at the door – recommend ages 12 – 18 years old, must be accompanied by an adult.